The ETS team traveled the Midwest this summer to gather knowledge from leading experts on reducing soil erosion and improving soil health. From North Dakota to Iowa and Ohio, SoilWarrior customers, strip-tillage enthusiasts and farmers alike gathered to share best practices for sustainable land management while improving yield. Since we know you can’t be everywhere, we’re bringing three top resources for better soil management to you. We give an extra thanks to the universities and researchers that hosted us at their field days: Iowa State University, North Dakota State University, The Ohio State University and the University of Minnesota. We appreciate how hard they work to share soil health knowledge and insights with us. 1. Reduce phosphorus runoff risk by using reduced tillage combined with cover crops or crop residue. At the 4R Technology Review Field Day in July, we learned about how the 4R Nutrient Stewardship plan helps reduce runoff. Researchers at The Ohio State University are working to reduce nutrient runoff to improve water quality. Preliminary results of these on-farm trials show that in addition to reduced tillage and the use of cover crops or residue, banding or injecting fertilizer significantly reduces the phosphorus runoff risk. Watch for more information later this year from Dr. Libby Dayton. Learn how to reduce the risk of nutrient runoff and improve water quality with these fertilizer training videos from The Ohio State University. 2. 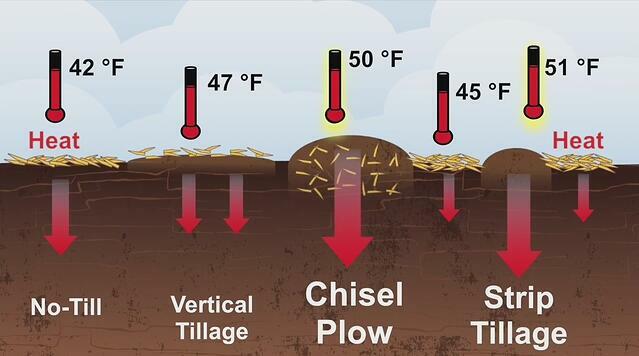 Strip-tillage conserves water between the rows while drying down and providing a warmer seedbed compared to other tillage practices. During the NDSU/U of M Soil Health Tour in late June, researchers Aaron Daigh, Jodi DeJong-Hughes, and Abbey Wick shared the latest information on their strip-tillage study. Researchers from North Dakota State University and the University of Minnesota teamed up to investigate Soil Warming and Health under Different Tillage Practices in a Corn-Soybean Rotation in a five-year study. Along with water content and soil warming, the team is evaluating soil health, crop emergence and yield. Results from the first year of the study are shown in the graphics below. 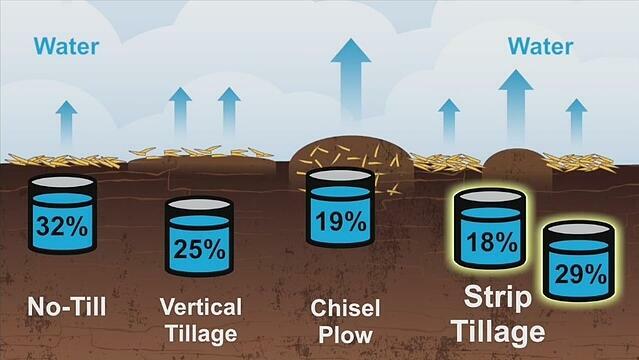 View the complete Soil Health Tillage Study Update video. 3. 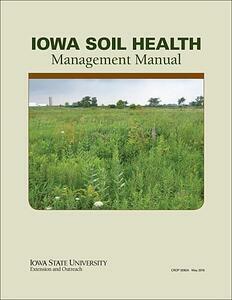 Assess the health of your soils. The ETS team gathered at the Iowa State Research Farm in mid-July for hands-on training in soil fertility and soil health. Many factors affect soil health including: soil properties (soil type, texture, drainage, pH, bulk density and organic matter), crops and crop residue, soil biology (bacteria, fungi, nematodes, and earthworms), and the environment (rainfall, temperature, humidity and wind). With so many variables involved in soil health, you may wonder where to begin. 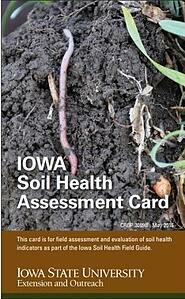 You’re in luck because Iowa State University recently published the Iowa Soil Health Management Manual, the Iowa Soil Health Field Guide and the Iowa Soil Health Assessment Card. 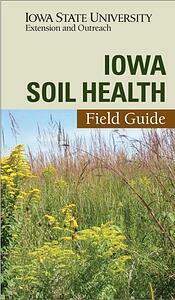 Download or order these free resources to help you better understand your soils. Then, work with your local agronomist to determine the best course of action to improve your soil health.